The instant messenger for Windows XP has a renowned name: MSN Messenger 7.5, known by many people also as MSN Messenger XP. 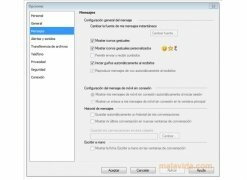 MSN Messenger 7.5 is probably one of the programs that most success has had thanks to its growing features, that have been implemented in the new versions launched since then. 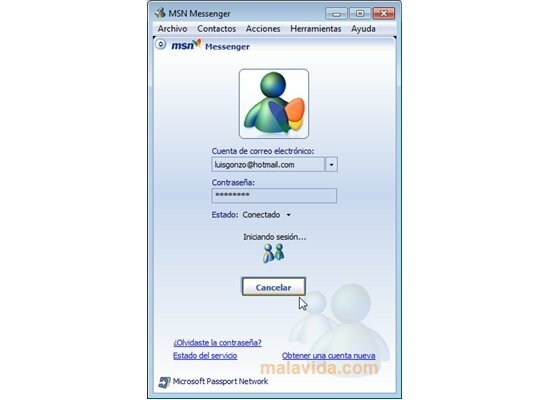 MSN Messenger 7.5 is an instant messaging program developed by Microsoft from which you can hold conversations with all the contacts on your friends list. Manage your contact list or address book and group them for a better order. Remember your username and password each time you open a session. Use the preset status to show your availability to starting conversations with your contacts: connected, not available, away, on the phone, away for lunch or disconnected. Send short text messages or use a webcam to establish a video conference with your contacts. Send and receive files by means of the application. Liven up your conversations with winks and emoticons. Sound alerts when you receive new messages or contacts that connect. Manage your lists of excluded and accepted contacts. Spend entertaining moments with your contacts with the different games included. Chat with your friends and family by downloading MSN Messenger 7.5 for free. Use this software to centralize all your communications with your contacts. With MSN Messenger 7.5 you have a place for your conversations. Add the options to send files, take part in video conferences or manage your contacts and groups. More than enough reasons to download MSN Messenger 7.5 for free. After you install the program, once you connect it will require that you update to the latest version of Windows Live Messenger, doing so automatically.